The former first lady turned 55 years old on Thursday, and both her husband, Barack Obama, and her good friend, Beyonce, took to social media to honor her. The former president shared a sweet throwback of the two, the couple all smiles as he puts his arm around her. "I knew it way back then and I’m absolutely convinced of it today -- you’re one of a kind, @MichelleObama," he wrote. "Happy Birthday!" Meanwhile, Beyonce shared a black-and-white childhood photo of Michelle looking adorable in a short-sleeved dress while accessorizing with gloves and a hair bow and carrying a basket. Beyonce and husband JAY-Z have been close friends with Michelle and Barack for years. Bey memorably sang Etta James' "At Last" for the Obamas' first dance at his 2009 inauguration ball, and the foursome's relationship has only strengthened since then. Last July, the Obamas showed off their dance moves when they attended Beyonce and JAY-Z’s concert at FedEx Field in Landover, Maryland. Prior to that, Mrs. O was captured dancing with Beyonce's mother, Tina Knowles, as JAY-Z performed in Paris. In an open letter in 2012, Beyonce gushed about Michelle. 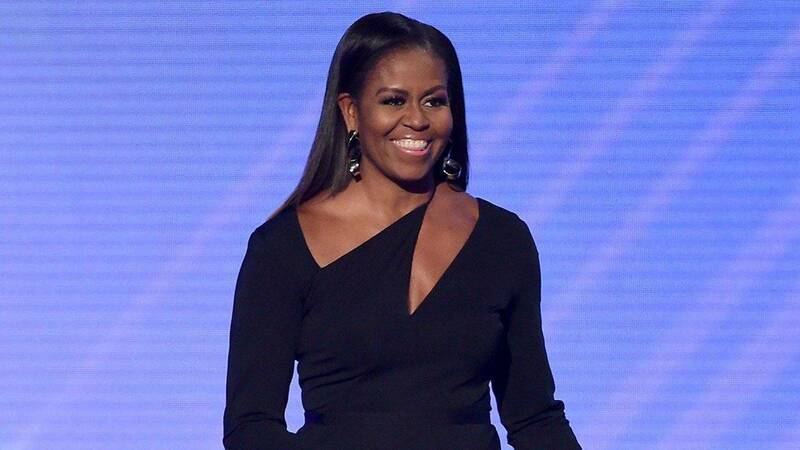 "Michelle is the ULTIMATE example of a truly strong African American woman," Beyonce wrote. "No matter the pressure, and the stress of being under the microscope -- she's humble, loving, and sincere." "Michelle, thank you so much for every single thing that that u do for us -- I am proud to have my daughter grow up in a world where she has people like you to look up to," she added. The respect is mutual. In May of that year, Michelle admitted she fantasizes about being Beyonce in a sit-down interview with rapper Wale that was shared on Instagram. "If I had some gift, I'd be Beyonce," she said. "I'd be some great singer. The power of music, being able to play an instrument… It looks like musicians just have the most fun."